One of the world’s first modern resort areas, the French Riviera remains to this day the playground for the rich, famous and fabulous. From terrific beaches, to charming coastal towns, chic cities and some of the top party destinations in the Mediterranean, the Côte d'Azur is very much alive. What might have been the best beach bar in the 60s or the best fine dining restaurant could very well still be, the only change being a new night club hot spot or five-star luxury hotel. From Monaco to St Tropez, the French Riviera comprises the world famous resort towns of Cap d’Ail, Beaulieu Sur Mer, Antibes, Cannes, Nice and Juan-les-Pins, to name a few. This is a yachting mecca, where many of the world’s biggest and best private yachts spend their summer holidays. 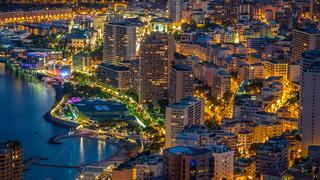 As a result Superyacht charters in the South of France are also highly popular. 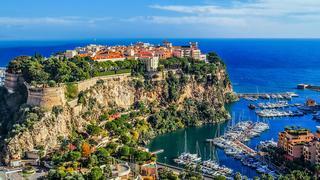 Day 1: Living it up in Monaco Take the eight minute helicopter flight from Nice Airport to Monaco, skirting over villas and villages, before boarding your yacht in Port d’Hercule. Settle in with cocktails and dinner aboard, before going ashore to try your hand at the roulette table at the legendary Casino de Monte Carlo. You may prefer to hive off into the Casino’s new Buddha-Bar, a converted theatre, all velvet drapery and exotic opulence, or head for Jimmy’z for the top DJs or Black Legend for live music. One of the world’s first modern resort areas, the French Riviera remains to this day the playground for the rich, famous and fabulous. From terrific beaches, to charming coastal towns, chic cities and some of the top party destinations in the Mediterranean, the Côte d'Azur is very much alive. What might have been the best beach bar in the 60s or the best fine dining restaurant could very well still be, the only change being a new night club hot spot or five-star luxury hotel. From Monaco to St Tropez, the French Riviera comprises the world famous resort towns of Cap d’Ail, Beaulieu Sur Mer, Antibes, Cannes, Nice and Juan-les-Pins, to name a few. This is a yachting mecca, where many of the world’s biggest and best private yachts spend their summer holidays. 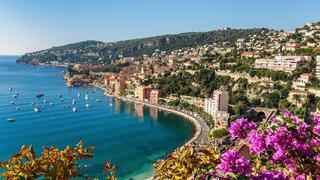 As a result Superyacht charters in the South of France are also highly popular. Take the eight minute helicopter flight from Nice Airport to Monaco, skirting over villas and villages, before boarding your yacht in Port d’Hercule. Settle in with cocktails and dinner aboard, before going ashore to try your hand at the roulette table at the legendary Casino de Monte Carlo. You may prefer to hive off into the Casino’s new Buddha-Bar, a converted theatre, all velvet drapery and exotic opulence, or head for Jimmy’z for the top DJs or Black Legend for live music. 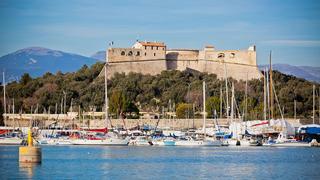 Take a leisurely cruise to Cap d’Antibes, which hangs like an anchor in the Mediterranean, and berth in Port Vauban, overlooked by an ancient citadel and home to many of the Mediterranean’s largest yachts. Have a late lunch on the sea-edge terrace at the Hotel du Cap-Eden-Roc, which is one of the top restaurants in the French Riviera. Afterwards you might like to while away an hour or so at the Musée Picasso, housed in Chateau Grimaldi where Picasso spent some time after the war, producing numerous paintings, drawings and ceramics for the town of Antibes. Back on board, Cannes is the next port of call. If there is time, indulge in a bit of retail therapy in this fashionable city – some sharp tailoring from Zilli or hand-made lingerie from The Private Room might be on your shopping list. And of course, when in Cannes, do like the cannois and take a late afternoon promenade along the mile-long Boulevard de la Croisette. Dine on board or take the short drive out of town to the verdant L’Oasis, where under the canopy of century-old plane trees you can partake in the delectable fusion of Mediterranean and Asian cuisine that has earned this restaurant two Michelin stars. Take a leisurely cruise to Cap d’Antibes, which hangs like an anchor in the Mediterranean, and berth in Port Vauban, overlooked by an ancient citadel and home to many of the Mediterranean’s largest yachts. Have a late lunch on the sea-edge terrace at the Hotel du Cap-Eden-Roc, which is one of the top restaurants in the French Riviera. Afterwards you might like to while away an hour or so at the Musée Picasso, housed in Chateau Grimaldi where Picasso spent some time after the war, producing numerous paintings, drawings and ceramics for the town of Antibes. Back on board, Cannes is the next port of call. If there is time, indulge in a bit of retail therapy in this fashionable city – some sharp tailoring from Zilli or hand-made lingerie from The Private Room might be on your shopping list. And of course, when in Cannes, do like the cannois and take a late afternoon promenade along the mile-long Boulevard de la Croisette. Dine on board or take the short drive out of town to the verdant L’Oasis, where under the canopy of century-old plane trees you can partake in the delectable fusion of Mediterranean and Asian cuisine that has earned this restaurant two Michelin stars. Cruise past red-roofed villas spilling down the hillsides to Iles de Lérins, a cluster of four islands near Cannes, but as far away from its hurly-burly as can be imagined. Stop off at Sainte Marguerite, one of the two inhabited islands of the group, which is dominated by the fort where Alexandre Dumas incarcerated the ‘Man in the Iron Mask’ from his famous tale. For history buffs the museum houses local Roman finds and the remnants of a tenth-century Arab ship. Take one of the trails that lead away from the congested port and enjoy a stroll through Aleppo pines and thick woods of evergreen oak. For lunch, avoid the island’s restaurants and instead take the tender round to one of the rocky inlets across the island for a swim and picnic. 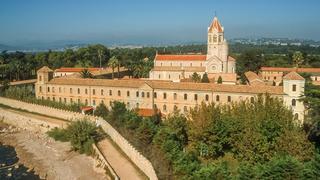 In the afternoon head for the smaller southern island of Saint-Honorat, owned and inhabited by monks almost continuously since 410AD, and home to the bishop’s seminary where St Patrick trained before setting off for Ireland. Explore the abbey buildings, cloisters and fortress, or take a stroll through the pine and eucalyptus trees, breathing in the heady mix of lavender, wild daisies, rosemary, thyme and wild honeysuckle that hangs on the island’s air. Don’t leave without a foray into the shop selling the white wine, lavender oils, honey and liquors produced by the 28 Cistercian brothers of the monastic community. Cruise past red-roofed villas spilling down the hillsides to Iles de Lérins, a cluster of four islands near Cannes, but as far away from its hurly-burly as can be imagined. Stop off at Sainte Marguerite, one of the two inhabited islands of the group, which is dominated by the fort where Alexandre Dumas incarcerated the ‘Man in the Iron Mask’ from his famous tale. In the afternoon head for the smaller southern island of Saint-Honorat, owned and inhabited by monks almost continuously since 410AD, and home to the bishop’s seminary where St Patrick trained before setting off for Ireland. Explore the abbey buildings, cloisters and fortress, or take a stroll through the pine and eucalyptus trees, breathing in the heady mix of lavender, wild daisies, rosemary, thyme and wild honeysuckle that hangs on the island’s air. Don’t leave without a foray into the shop selling the white wine, lavender oils, honey and liquors produced by the 28 Cistercian brothers of the monastic community. An early morning departure will have you breakfasting on board as the former fishing village of Saint-Tropez comes into view. Anchor off Pampelonne Beach, synonymous with Brigitte Bardot and said to be the home of the bikini, and laze on its golden sands with the occasional dip in the sea. Then follow the boardwalks ashore to Madame de Colmont’s former beach hut, Club 55, where poisson froid washed down with some Pampelonne Rosé might be the order of the day. For the rest of the afternoon, take time to explore the charms of Saint-Tropez, dipping into its boutiques and perhaps stopping off at one of the bars or cafés dotted along its winding streets for some refreshment. Beach parties may beckon in the evening, and there are glamorous nightclubs aplenty where you can dance into the early hours. An early morning departure will have you breakfasting on board as the former fishing village of Saint-Tropez comes into view. Anchor off Pampelonne Beach, synonymous with Brigitte Bardot and said to be the home of the bikini, and laze on its golden sands with the occasional dip in the sea. Then follow the boardwalks ashore to Madame de Colmont’s former beach hut, Club 55, where poisson froid washed down with some Pampelonne Rosé might be the order of the day. 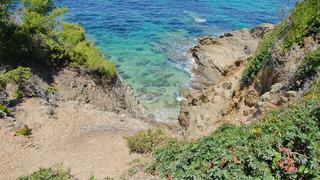 Leaving the glitz and glamour far behind head across the Gulf of Hyères to Porquerolles, a tranquil island whose upspoilt natural beauty is protected by law and where cars are banned. Take the tender ashore to Notre Dame beach for a lazy morning on the sands, and then after an invigorating picnic lunch take a cycle through cool forests of wind-twisted parasol pines and traditional villages, or explore the rocky cliffs on the south shore from where you can gaze at the stunning colour of the sea which fades from the brightest turquoise to sapphire blue. Dine at the Michelin-starred Restaurant L’Olivier in the wonderfully traditional hotel of Le Mas du Langoustier, sampling fine Provençal cuisine accompanied by a bottle of Domaine de l’Ile de Porquerolles. Leaving the glitz and glamour far behind head across the Gulf of Hyères to Porquerolles, a tranquil island whose upspoilt natural beauty is protected by law and where cars are banned. Take the tender ashore to Notre Dame beach for a lazy morning on the sands, and then after an invigorating picnic lunch take a cycle through cool forests of wind-twisted parasol pines and traditional villages, or explore the rocky cliffs on the south shore from where you can gaze at the stunning colour of the sea which fades from the brightest turquoise to sapphire blue. Dine at the Michelin-starred Restaurant L’Olivier in the wonderfully traditional hotel of Le Mas du Langoustier, sampling fine Provençal cuisine accompanied by a bottle of Domaine de l’Ile de Porquerolles. Get under way early for the cruise to Villefranche-sur-Mer, and lunch on board with a picturesque view of the pastel-hued buildings of this ancient port nestling around the wide horseshoe-shaped curve of the bay. A tender-ride will deliver you to the quayside where you won’t have to walk far to admire the frescoes of French writer and artist Jean Cocteau in La Chapelle St-Pierre. Then take a slow meander up through the maze of steep, narrow medieval streets, stairways and squares of this 14th century town, which is guarded by the imposing Fort Saint-Elme. Finally, head back down to the quayside to dine on la bouillabaisse at La Mère Germaine. Get under way early for the cruise to Villefranche-sur-Mer, and lunch on board with a picturesque view of the pastel-hued buildings of this ancient port nestling around the wide horseshoe-shaped curve of the bay. A tender-ride will deliver you to the quayside where you won’t have to walk far to admire the frescoes of French writer and artist Jean Cocteau in La Chapelle St-Pierre. Then take a slow meander up through the maze of steep, narrow medieval streets, stairways and squares of this 14th century town, which is guarded by the imposing Fort Saint-Elme. Finally, head back down to the quayside to dine on la bouillabaisse at La Mère Germaine. The day offers a choice between beach chic or heading for the hills. If you plan to stay at sea level, St-Jean-Cap-Ferrat offers two pretty anchorages on either side of the peninsula, where you can laze on board while eyeing out the spectacular villas adorning the coast. Take the tender in to Paloma or Paloma beach clubs for a long, relaxing lunch and lazy afternoon, and then consider dining at Grand Hotel du Cap Ferrat’s Le Cap restaurant. 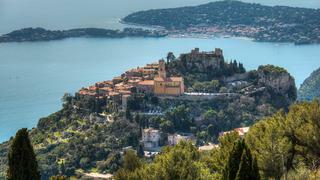 Alternatively cruise eastward to Eze-sur-Mer and if you are feeling energetic take the footpath (if not, a taxi will oblige) up to Eze, a medieval village perched like an eagle’s nest atop a narrow rocky peak with winding cobbled roads and stunning views of the sea from its Jardin Exotique. Explore the galleries, cafes and boutiques, some of them seemingly hewn out of the rocky hillside, and take lunch with a spectacular view at Chateau Eza. A quiet dinner and evening on board might be a welcome antidote to the frenetic activities of the day, but those with indefatigable energy stores might want to head to Anjuna beach club, reputedly the ‘wildest’ on the French Riviera. The day offers a choice between beach chic or heading for the hills. If you plan to stay at sea level, St-Jean-Cap-Ferrat offers two pretty anchorages on either side of the peninsula, where you can laze on board while eyeing out the spectacular villas adorning the coast. Take the tender in to Paloma or Paloma beach clubs for a long, relaxing lunch and lazy afternoon, and then consider dining at Grand Hotel du Cap Ferrat’s Le Cap restaurant. A quiet dinner and evening on board might be a welcome antidote to the frenetic activities of the day, but those with indefatigable energy stores might want to head to Anjuna beach club, reputedly the ‘wildest’ on the French Riviera. Breakfast on board as you head back to Monaco, where your day could be spent in any number of ways – having a spa treatment at Les Thermes Marins Monte-Carlo, trying on some diamonds at the Graff boutique, or even taking a short helicopter ride inland to Saint-Paul-de-Vence with a view to spending a contemplative couple of hours at Fondation Maeght, a private collection of 20th century and contemporary art, which includes works of Chagall, Miro, Bonnard, Braque, Giacometti, Adami, Kelly and Kuroda, among others. If you have timed your visit to coincide with the Monaco Grand Prix, champagne corks will be popping well before the race starts at 2pm, when the buzz, noise and excitement reaches fever pitch, and the party continues onboard or in the Amber Lounge well into the next day. No matter what the time of year there is something for every taste happening in the principality – from the Printemps des Artes Festival and the Monte-Carlo Rolex Masters tennis tournament in the spring, to cookery classes at the Hotel de Paris and summer festival concerts. End the day – and your French Riviera sojourn – with an evening cocktail at Hotel de Paris’s American Bar followed by gastronomic haute couture at Le Louis XV-Alain Ducasse, or head for Le Grill on the eighth floor, where, with the roof opened to the sky you can dine alfresco in view of a breathtaking sweep of the Riviera. Breakfast on board as you head back to Monaco, where your day could be spent in any number of ways – having a spa treatment at Les Thermes Marins Monte-Carlo, trying on some diamonds at the Graff boutique, or even taking a short helicopter ride inland to Saint-Paul-de-Vence with a view to spending a contemplative couple of hours at Fondation Maeght, a private collection of 20th century and contemporary art, which includes works of Chagall, Miro, Bonnard, Braque, Giacometti, Adami, Kelly and Kuroda, among others. If you have timed your visit to coincide with the Monaco Grand Prix, champagne corks will be popping well before the race starts at 2pm, when the buzz, noise and excitement reaches fever pitch, and the party continues onboard or in the Amber Lounge well into the next day. No matter what the time of year there is something for every taste happening in the principality – from the Printemps des Artes Festival and the Monte-Carlo Rolex Masters tennis tournament in the spring, to cookery classes at the Hotel de Paris and summer festival concerts. End the day – and your French Riviera sojourn – with an evening cocktail at Hotel de Paris’s American Bar followed by gastronomic haute couture at Le Louis XV-Alain Ducasse, or head for Le Grill on the eighth floor, where, with the roof opened to the sky you can dine alfresco in view of a breathtaking sweep of the Riviera.